I’m a trainer. Well, no mistake, It is just that I prefer travelling by train :). So is my family. 2) We enjoy every bit of it. This time it was the most known Puri, India. But the challenge was different. I wanted to find a ‘Goa’ in it. Madness of my kind- The off shore roads, beach shacks, food, drink, music, if I could get all or atleast some. Sri Jagannath had to be a bonus. Well, got a little disappointed but not fully. 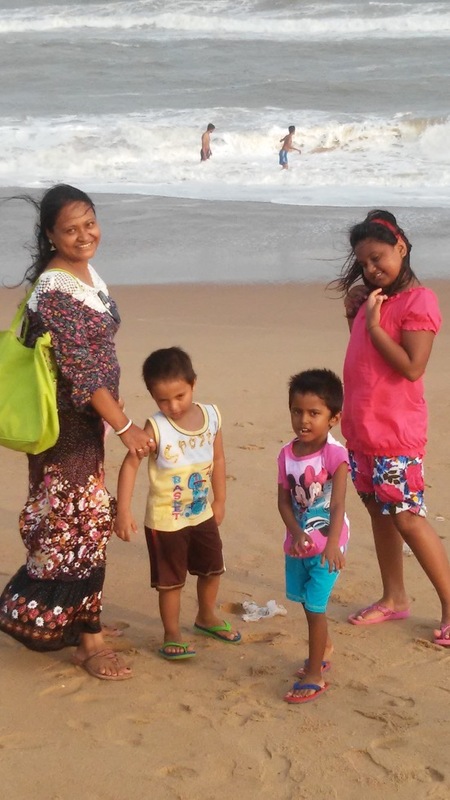 In Puri, this time, we chose to be on the CT Road side. There the roads are off from beach, with curves you’ll like. The property we chose was Golden Palace for 2 days and Chanakya BNR for next 2, both booked through OYO Rooms (I used OYO for the first time, good deal). Both the properties were very well suited for my kids. They enjoyed the lawn, the pool, the star ambience and breakfast. But here comes the catch, when it comes to service, they’re not as pro as the Goa guys. But that’s manageable as long as you can soft-push them. It doesn’t mean that the rooms are not big or toilets are not cared, they are. Hence, no disappointment here. Watching the sea from balcony or walking down barefoot to the beach just in 2 mins, brought that awe to my skeptic mind. Puri is now clean. Very much clean. A mindful of beach walk, swimming, you can have some water sports too (I was not interested). Here comes the real challenge, where are those shacks? Well there are some, but thumbs down. So I chose to bank on my research. To my surprise, they were awesome – Widergrass Restaurant, Chung Wah, Pink House. Try all three , they’re different but all finger licking (Veggies, you’ve Govinda’s). Pink House was actually a shack, I mean, kind of. But again, you ask for ‘seafood platter,’ they don’t have. So we did it our way. Friend pomfret, prawn, squid, crab – asked for all and made our own platter. (I told you, they’re not pro). Drinks are available, but not open licensed like Goa. And please don’t waste your time to figure out nightclubs, while in Jagannath Dham. Instead go to Sargadwar , do shopping or take a stroll on beach, it is mesmerising. We did them all. On the d-day evening, we enjoyed the pool and went to Chung Wah for dinner. The best-in-class Chinese, please don’t miss it. We were there in Hans CoCo Palms last time, located on the other side of Puri. Very good property. Well, you may seek a South Goa comparison while on beach there, but that will match only on headcount and nothing else. Hence, I recommend, the CT road side. The other advantage, it is very close to station. We took Shatabdi at 5.45 morning and was back Kolkata midday. 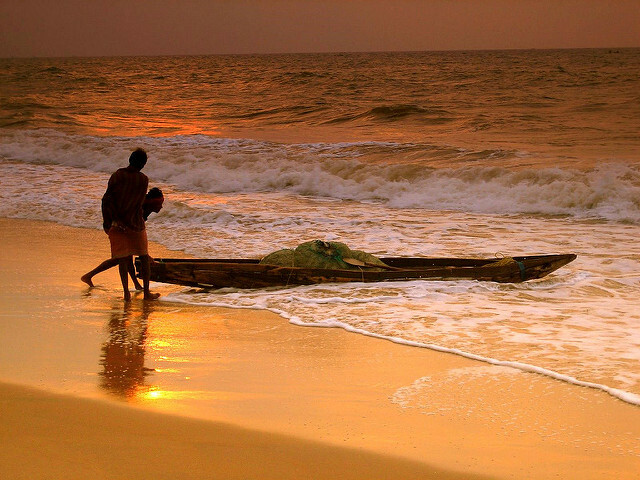 Puri, you can really go anytime throughout the year, avoiding monsoon for safety reasons. Summer is humid, but the mind blowing wind from the sea takes the pain out, specially the evening. You feel blessed. It is good to find a Pujari who has the influence to take you closest to the deity while in Mandir, without much of a pain. We had Madhav bhai (I’ve his contact, please write to me if needed). Puri has its own identity. You’ll always feel like coming and not get bored. It was our pleasure being there. Nice place, nice people….as long as, we are.